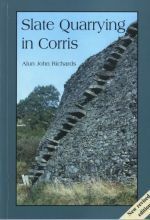 A history of slate quarrying at Corris from its beginning in Tudor times to the wentieth century. Black-and-white photographs and maps. First published in 1994.